We knew it was only a matter of time before Leonardo DiCaprio got hip to plant-based meat, given his focus on climate-friendly food innovation. But Leo isn’t just talking about this groundbreaking solution to animal agriculture’s greenhouse gas problem. He’s investing in it. As Beyond Meat founder Ethan Brown revealed in a company press release, the investment formalizes a long-running partnership. 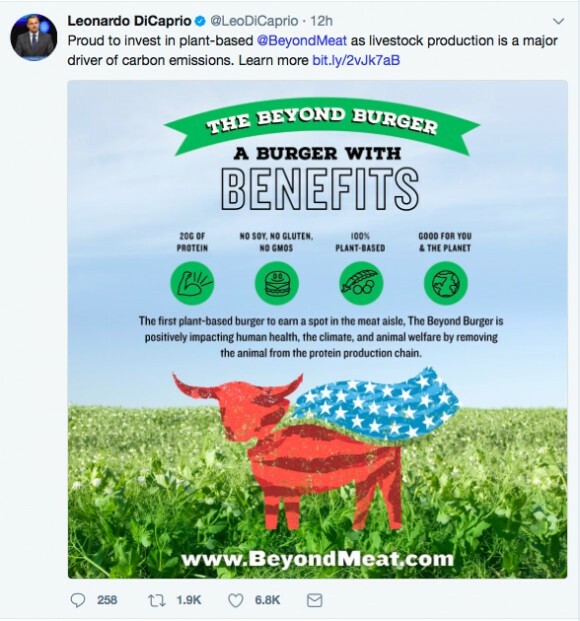 Apparently, Leo was involved in the initial development of Beyond Meat’s revolutionary Beyond Burger! 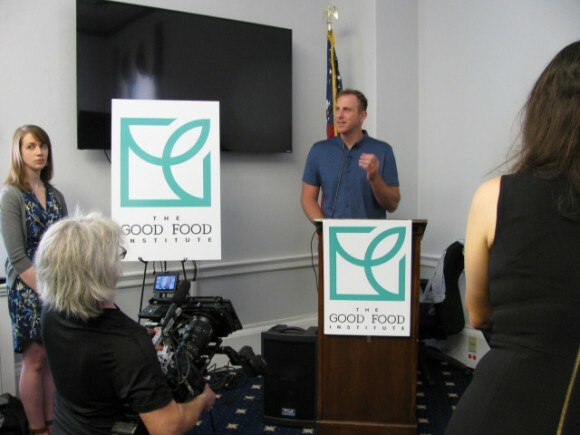 Ethan Brown at GFI's Capitol Hill event. Yes, that means we're one degree of separation from Leo! Other investors in Beyond Meat include Bill Gates, Twitter co-founders Biz Stone and Evan Williams, former McDonald’s CEO Don Thompson, The Humane Society of the United States, and Tyson Foods. Talk about a diverse coalition. As an elegant solution to the two biggest problems in our food system – feeding an exploding population and mitigating climate change – plant-based meat companies are attracting interest from across the board. Interested in doing well while doing good by getting involved in the plant-based meat scene? Check out this guide to the industry and see where you might be able to make your mark. And who knows, maybe you’ll get to meet Leo in the process! To learn more about GFI's work to support the plant-based meat industry, check out what we do!